Automatic Paper Cake Tray Forming Machine is made after the Italian technological innovation assimilation device, it is a first-class equipment at home and abroad has a simple structure, easy to operate, almost productivity and reliable performance advantages. Easy replacement of the mold, so that the different size carton and foil tray. 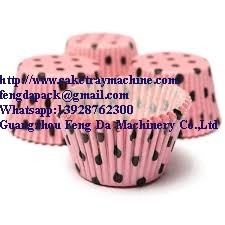 Cake tray making machine is an ideal paper cake trays, paper food trays, paper cake cups, paper food dishes, cake pans, cutlery and containers of cake. It is a ideal equipment of making paper cake trays, paper food trays, paper cake cups, paper food dishes, cake plates, cake dishes and containers etc.